Muslim Congresswoman Omar Agenda Implodes! 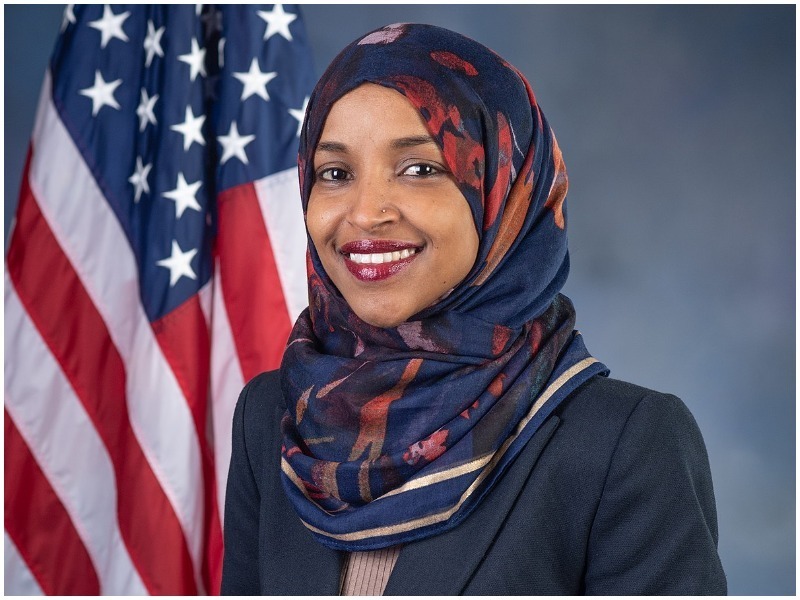 Thread: Muslim Congresswoman Omar Agenda Implodes! Last edited by RMNIXON; 02-10-2019 at 10:04 PM. will we have brawls on the house floor? seems to be a thing in third world politics. and now the country is flooded with people who want to see America, and all of its legacy of international alliances, destroyed. And most of the Democratic Party, and a few in the GOP, have joined in on the treason. Hope and Prayer are integrally linked, never underestimate or undervalue, the power of either! Kurmugeon Dialetic: Dear Socialist Leader has no clothes... or Free-Money to Give you... that he didn't take from you first! Watching congress critters fist fight would be like watching a Shih Tzu dog fight. The first one to pass out from exhaustion or just give up would be the winner. There's no possibility of any real physical damage. Last edited by Don29palms; 02-10-2019 at 10:27 PM. Not looking so good is it! Problem with violent, intollerant, Identity politics, is that once you've destroyed the perceived oppressive majority, in this era, Working-White-Males, then you need a new enemy, because your audience is thoroughly conditioned to need an enemy, and they tend see all problems through the Identity Politics view point. So, as many of the Working-White-Males are committing suicide after bankruptcy in huge numbers, which the CDC and courts can confirm, the Leftie Colition begins to look for a new "oppressor" within their own ranks, and the whole coalition shatters. Last edited by Kurmugeon; 02-10-2019 at 11:03 PM. The People have become Corrupt, and now require despotic government - being incapable of living under any other. Obama would be proud of his Muslim student.